Successfully Added HK Warehouse UMIDIGI Z1 Android Phone - 4000mAh, Android 7.0, FHD Display, Helio P20 CPU, 6GB RAM, Dual-Cam (Gold) to your Shopping Cart. The UMIDIGI Z1 is one of China’s latest Android phones that bring forth an exceptionally powerful performance. Although it comes with a low price tag, this cheap Android phone packs the latest hardware available. With its MediaTek Helio P20 chipset and 6GB RAM, it is capable of tackling the most demanding software out there. It furthermore runs on an Android 7.0 operating system that smoothly lets you enjoy all the latest applications. No matter what kind of smartphone user you are, this Android phone is sure to meet your demands. With its beautiful 5.5-Inch display, it brings forth absolutely stunning visuals for you to enjoy whenever you turn on this Android device. Within its sleek body, the UMIDIGI Z1 packs a whopping 4000mAh battery. This cell brings along a stunning 20 hours of continuous usage time. Additionally, the phone features quick charge technology. Thanks to this, you’ll never again have to worry about being left without juice. Watch multiple of your favorites video’s, make endless calls, and browse the web for hours in a row. Nothing is too much for this powerful Android phone. It supports Dual-IMEI numbers that bring along great connectivity. Additionally, you’ll be treated with 4G and Dual-Band WiFi. Thanks to this, you’ll always be able to browse the web at lightning speeds. This latest Android phone packs a stunning 13MP Dual-Rear camera. With this professional-grade snapper at hand, you’ll always be able to shoot breathtaking photographs and 4K video. Additionally, its 5MP front camera lets you engage in Full-HD 1080p video calls. With 64GB of internal storage, the phone offers enough memory to keep all your private pictures and video’s safe. For those of you that need even more, your new smartphone allows you to insert up to 256GB of external storage through its SD card slot. All your files can be accessed easily and with the touch of a finger thanks to the phone’s ultra-fast fingerprint scanner. 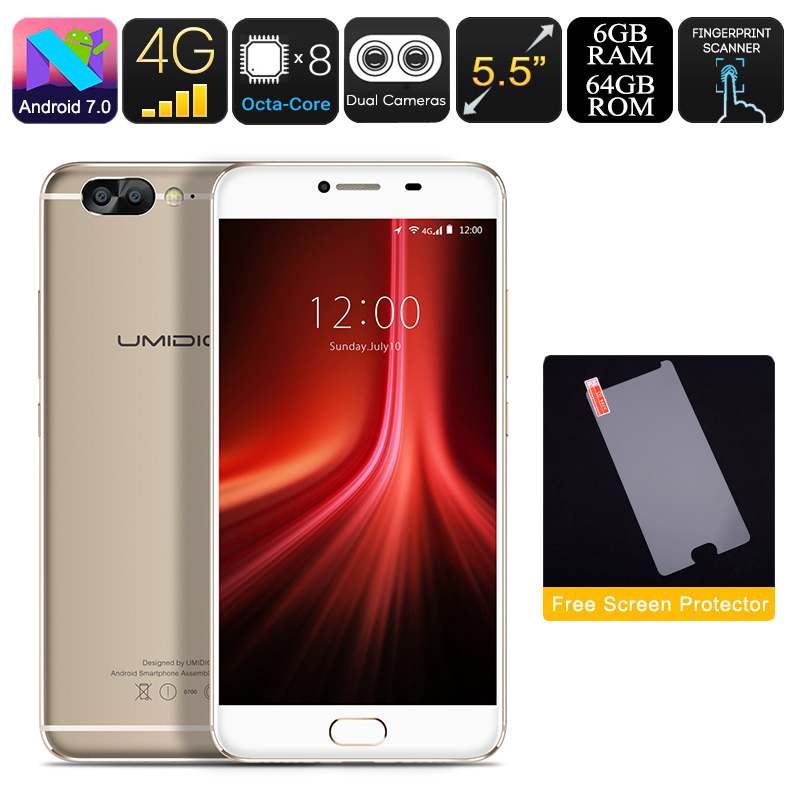 The UMIDIGI Z1 Android Phone comes with a 12 months warranty, brought to you by the leader in electronic devices as well as wholesale electronic gadgets..